Patrick Russell sat down to chat with us about Sam Shepard's athletic storytelling and his elementary school debut. ‍A Bright New Boise, Samuel D. Hunter (Aurora Theatre Company 2013). Dir. Tom Ross. Daniel Petzold (Alex), Patrick Russell (Leroy), Robert Parsons (Will), and Gwen Loeb (Pauline). Photo: David Allen. What does Sam Shepard mean to you? When did you first encounter his work? The Other Place, Sharr White (Magic 2012). Dir. Loretta Greco. Patrick Russell (The Man), Carrie Paff (The Woman), Donald Sage Mackay (Ian), and Henny Russell (Juliana). Photo: Logan Ellis. My first experience with Sam Shepard was many years ago, working on a scene from A Lie of the Mind in my first college acting class. To me Sam Shepard's work has always represented a type of 'athletic' kind of storytelling, primal in nature, and viscerally reminiscent of my own high desert hometown. So I've always felt drawn to his plays in a nostalgic way. How do you think this play resonates today as compared to 1983 when it premiered at Magic? It's themes are universal and infinite. And why, I think, it has not only remained a masterwork but continues to gain in status as an American Classic. Do you remember your first experience at the theater? What was the show? or, How did you get into acting, what was your first gig? One of my first big stage debuts was as The Boy in an elementary school production of The Velveteen Rabbit. 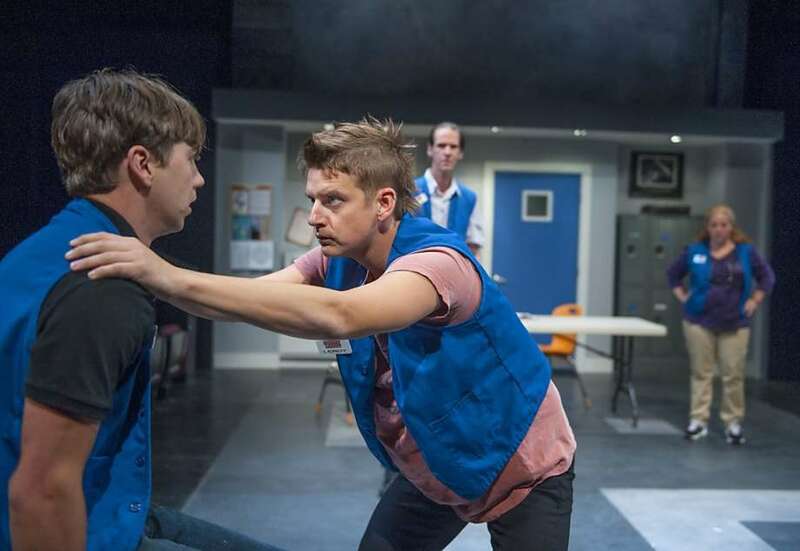 Trouble Cometh, Richard Dresser (SF Playhouse 2015). Dir. May Adrales. 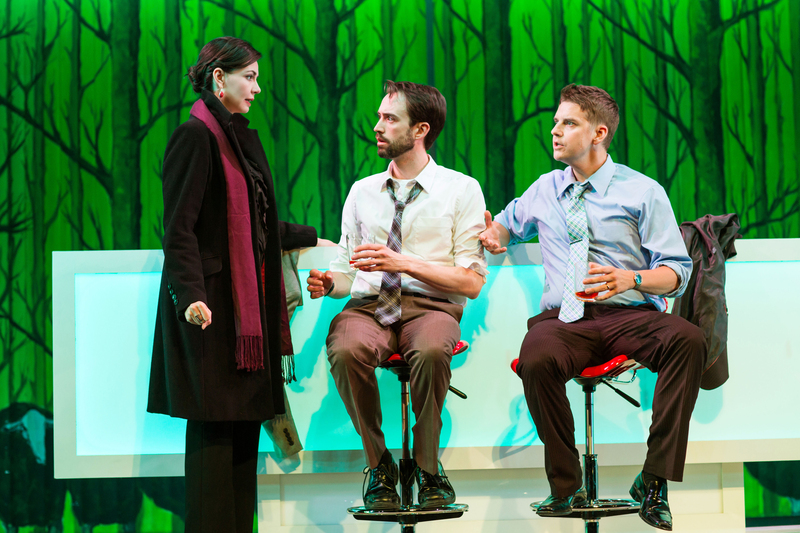 Liz Sklar (Kelly), Kyle Cameron (Joe), and Patrick Russell (Dennis). Photo: Jessica Palopoli. What have you seen/read (shows, concerts, movies, books, art) lately that really spoke to you? Why? I recently saw the film, Arrival, which was beautiful. Every single shot of that movie was gorgeous. And its messages of compassion and truth are more important than ever today.